The County Executive and volunteer and career chiefs of the Prince William Fire and Rescue System presented to the Board of County Supervisors their proposal for restructuring the Prince William County Fire and Rescue System. 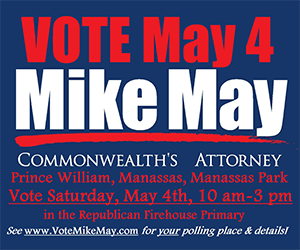 In January 2016, the board directed the County Executive to work with the Fire and Rescue Association to determine whether the existing framework of the Prince William County Fire and Rescue System was the best alternative to provide service and assistance to county residents. The directive came after two volunteer fire companies were merged into the Prince William Department of Fire and Rescue (DFR) due to their inability to maintain the level of service contracted by the board. Committee meetings, assessments and evaluations aimed at determining the best leadership structure for the fire and rescue system have been ongoing since the board issued its directive, according to the presentation. In March 2016, the CXO formed a steering committee to oversee the process. The committee was comprised of the Prince William County Executive, the DFR Chief, the DFR Deputy Chief, a DFR Assistant Chief, and chiefs from the Occoquan-Woodbridge-Lorton (OWL), Yorkshire and Dale City volunteer fire and rescue companies. They met regularly to build consensus and devise strategies to stand up a successful combined volunteer and career system. Part of the process included a Strengths, Weaknesses, Opportunities and Threats, or SWOT analysis to reveal the status of the current system. The results of the analysis showed that the system’s leadership and governance model needed revision to meet the present-day needs of the county. The analysis, completed with 884 community participants who contributed 3,906 comments, also showed that leadership issues needed to be resolved before other issues could be addressed. According to the presentation, assessments also showed that the county’s current code did not help the system meet the criteria of sustainability, collaboration, fiscal responsibility, streamlined decision-making, efficiency or communication. To meet those criteria, the steering committee drafted a new ordinance that outlined the roles of a system chief, an executive committee and a budget advisory and financial planning committee. The draft ordinance provides a process for streamlined decision-making and establishes a system chief who reports to the County Executive. The draft ordinance also establishes an executive committee comprised of three volunteer chiefs, elected by all of the volunteer chiefs from across the county, an operational medical director, a DFR deputy chief and two DFR assistant chiefs. The executive committee is to act in an advisory capacity to the system chief with regard to policies, strategic planning, finances, audits, training requirements, discipline and other duties assigned by the system chief. Its purpose is not to be involved with the day-to-day operations of the volunteer companies unless there is a direct conflict with the system’s mission, goals and objectives. Additionally, a Budget Advisory and Financial Planning Committee would be created by the executive committee in cooperation with the system chief to provide advice and counsel on operating and capital needs of the fire system. The budget and finance committee would review financial documents, including funding sources and reserve balances, in order to provide advice and counsel to the executive committee and the system chief on the financial health of the fire and rescue system. The input from the committee will be incorporated into the county’s annual budget and planning process, as directed by the County Executive and Prince William County Office of Management and Budget. The steering committee unanimously approved the draft ordinance during its meeting on June 7; and the Fire and Rescue Association Board of Directors voted 14-1 to endorse the ordinance during its meeting on June 28. On Aug. 1, the Board of County Supervisor’s will host a public hearing during its 2 p.m. meeting on the adoption of the new ordinance to restructure the fire and rescue system.